Released in North America on December 3, 1991, and the EU in 1992. This console was NOT released in Japan. The initial price point for the Philips CD-i was US$700. The Philips CD-i is the remnant technology concept from the failed Nintendo/Philips joint venture to produce a CD-ROM expansion for the Super NES. In the same direction that Sony decided to take, Philips decided to release the CD-i on their own. The CD-i was touted in the early 1990's as not just a video game console, but rather a "Multimedia System". The idea behind the use of "multimedia system" was that it was designed to be an educational tool that played games that fell into a new category of "edutainment". The console could also play regular video games, as well. Many of the early titles for the unit were educational titles, and adaptations of popular board games. Due to the licensing agreement that Philips and Nintendo had prior to the split, Philips was able to produce titles based on the popular Mario and Legend of Zelda properties. Those titles have been regarded as the worst titles ever released. The edutainment titles were received as well as their "general" video games. With disinterest. Titles released for the console were inconsistent in quality, and style. The system also lacked a "killer app" that drew in gamers. Another issue was the reliance on the FMV style of games, such as Mad Dog McCree, Burn:Cycle, and even Dragon's Lair, Space Ace, and others. Even with the ability to play Audio CDs, CD+G, Karaoke CDs, Photo CDs and VideoCDs, the console failed. 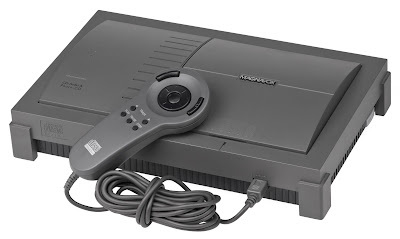 It was ultimately discontinued in 1998, and Philips left the video game industry forever.